Carolina (a pseudonym) is a transgender woman in her late 20’s living with HIV. She speaks lovingly of her mother, now deceased, and describes how mama signaled acceptance of her gender change when she brought her home a dress. She seems reluctantly reconciled to discrimination, as when people on the bus move away from her. But Carolina’s tears flow when she talks about never being able to get decent work, nor a job where she is regarded as a dignified human being. 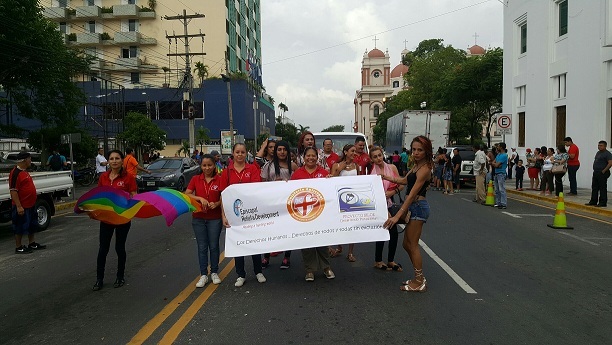 In Honduras, she is doubly stigmatized as an HIV-positive person and transgender. She has almost no chance of finding employment. Carolina has experienced discrimination by religious groups. So, it took her a while to trust our Honduras director, The Rev. Pascual Torres. But that changed when he removed his clerical collar and gave her a big hug. All of us feel that healing must occur on the individual level, but no less on the social, where public attitudes and behaviors inflict their harm as surely as viruses do.